Aubrey “Drake” Graham (born October 24, 1986 in Toronto, Ontario) is a Grammy award nominated Canadian actor, rapper and singer signed to Universal Records. He has released three mixtapes, 2006’s Room for Improvement, 2007’s Comeback Season, and 2009’s critically acclaimed So Far Gone, which is considered one of the best mixtapes of 2009. He is in the beginning stages of recording his major label debut, tentatively titled Thank Me Later, which is projected to be released March 2010. The first single from the album, Best I Ever Had, debuted at #92 and has since reached #2 on the Billboard Top 100. The music video for the song is directed by fellow rapper Kanye West. Drake has previously dated singer Keshia Chanté, and is rumoured to be seeing R&B sensation Rihanna though neither have confirmed or denied the relationship. 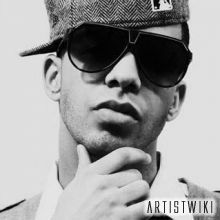 Drake began writing songs when he was just ten years old. Since then he’s collaborated with The Clipse, Pharrell, Justin Timberlake, Kanye West, and Eminem to name just a few.